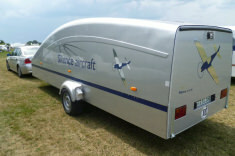 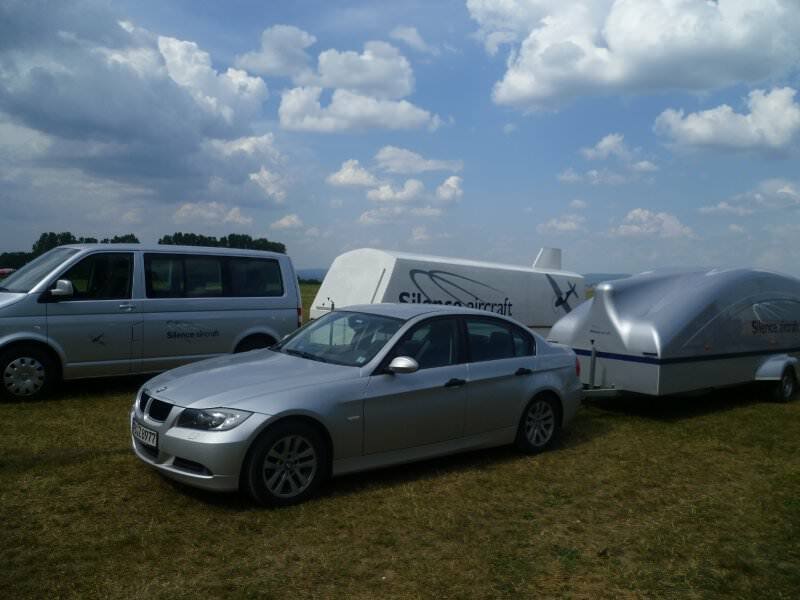 The trailer, the ideal alternative to a hangar! 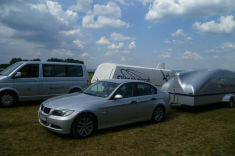 Going to the airport is a pleasure, because your trailer consistently holds the road well, whether loaded or unloaded. 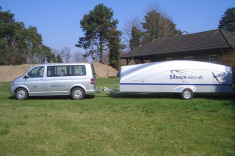 Silence Twister assembly or disassembly can be carried out with the trailer still attached to the towing vehicle. 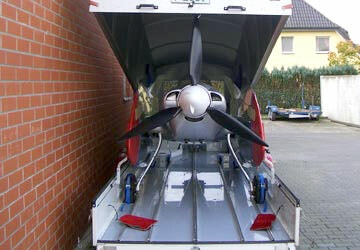 The large opening angle and the handy loading aids make it very easy to load the aircraft parts. 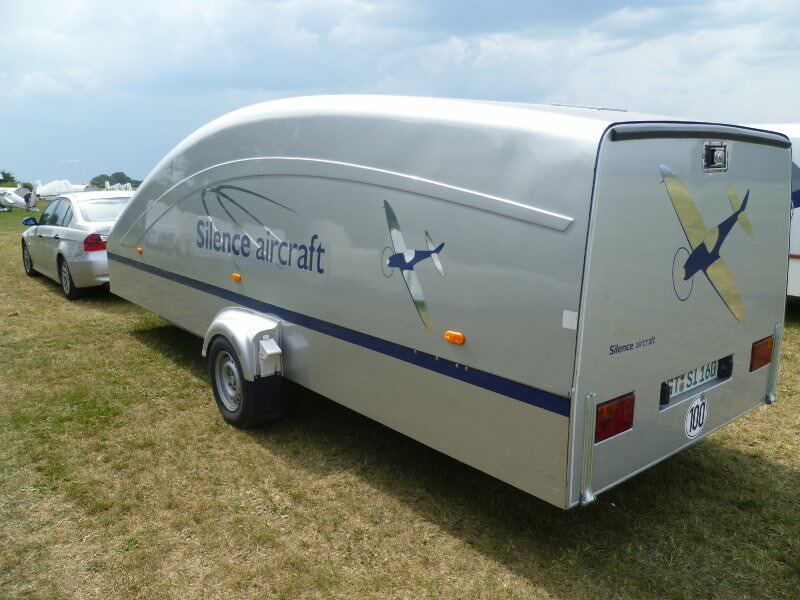 Your Silence Twister is safe from damage while inside the trailer. 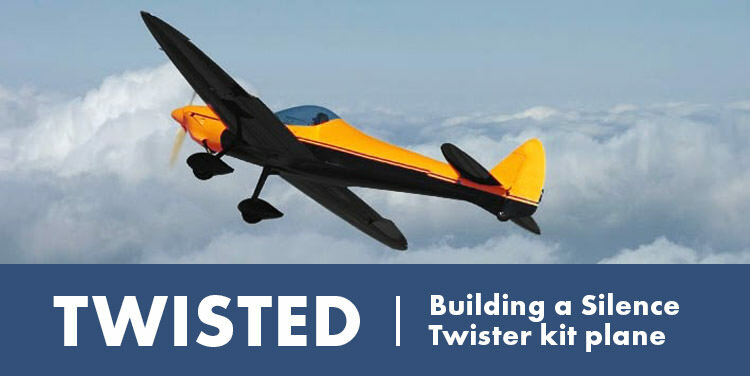 To go flying it can be quicker to assemble your aircraft from the trailer than maneuvering it from inside a hangar. 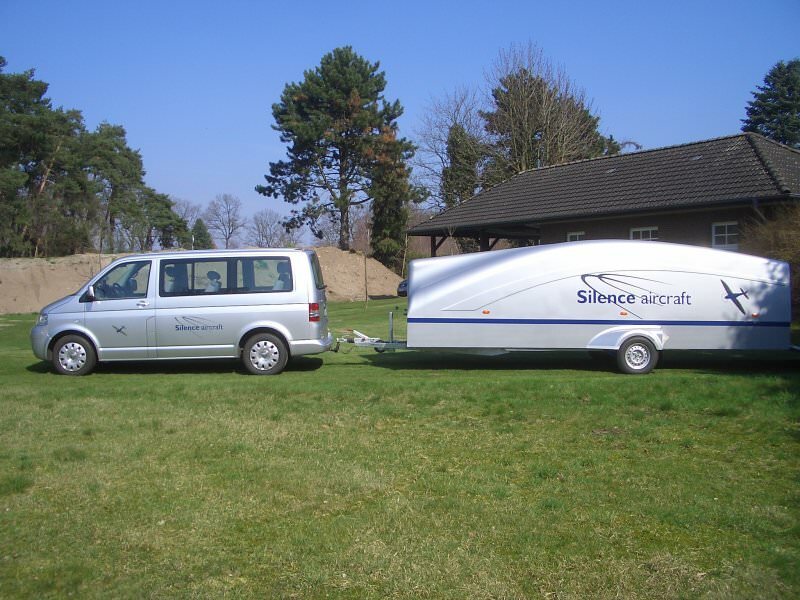 One Person can rigg the Silence Twister within a time of 10 minutes.